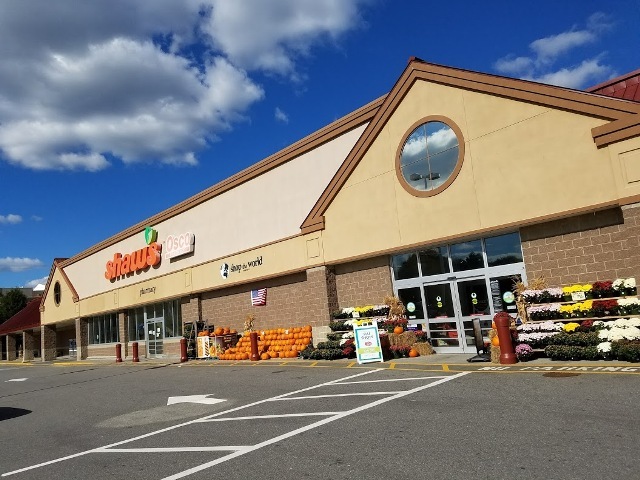 This is a sponsored post written by me on behalf of Shaw’s Supermarkets. All opinions are my own as always. 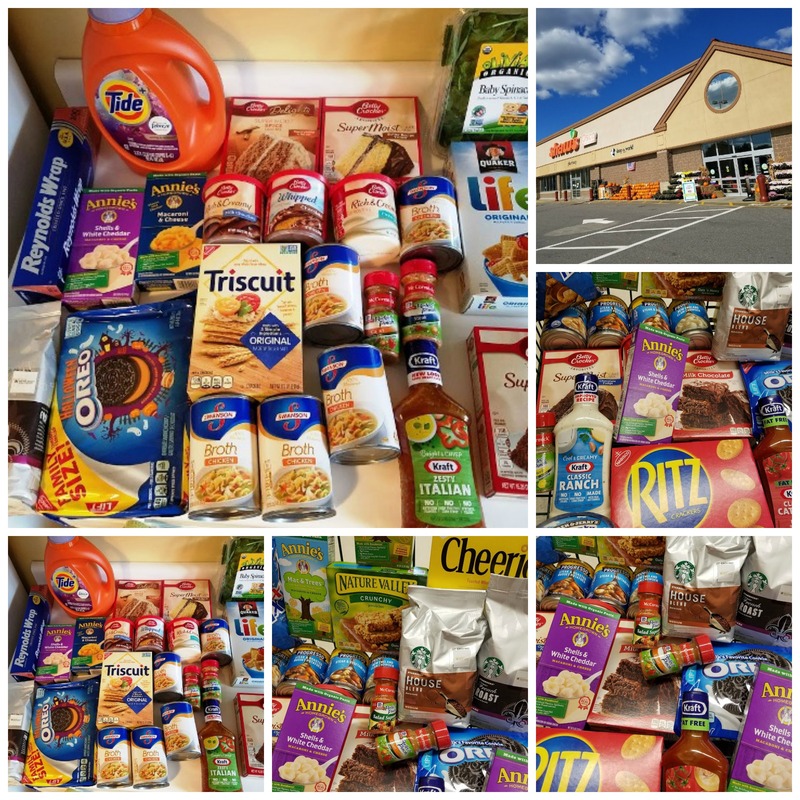 I am going to share my haul with you from the Stock Up Sale at Shaw’s Supermarkets. I stocked up my pantry with my favorite items. I created a fun and delicious dessert to bring to my daughter who is in college. I wanted to bake her something that was easy to transport in the car. Since I didn’t have a lot of time, I chose making an Easy Chocolate Butterscotch Bar with a Betty Crocker™ cake mix from the Stock Up Sale. I really like this dessert because I only need 5 ingredients and it is done in 20 minutes! Perfect for a busy schedule. 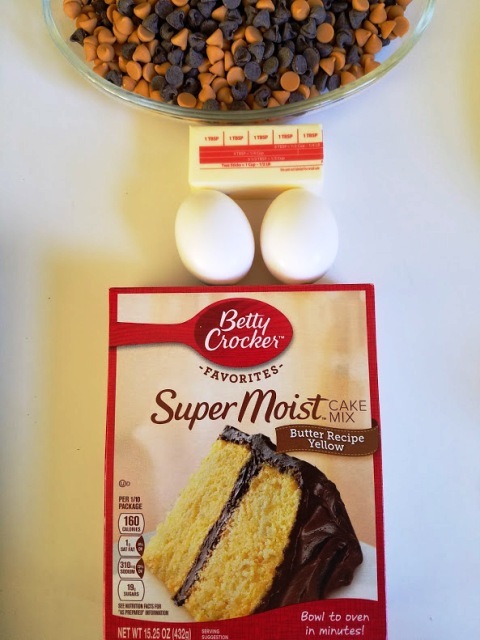 What you need for this recipe: eggs, butter, semi-sweet chocolate chips, butterscotch chips, Betty Crocker Super Moist Butter Cake Mix. A cake pan, vegetable cooking spray, and a stand mixer. That’s it! Batter is thick, so use a stand mixer. Combine cake mix, melted butter and beaten eggs. 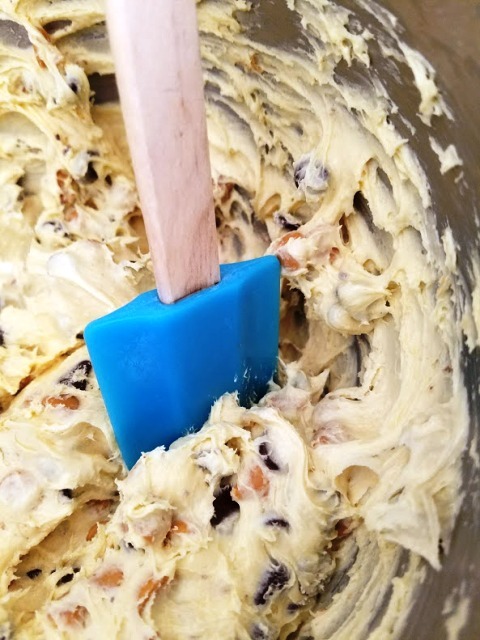 Mix in chocolate and butterscotch chips with a spatula. I like to spray my hands with Vegetable spray to smooth out batter. The batter is sticky and thick. Bake until golden brown. Let cool on a baking rack. 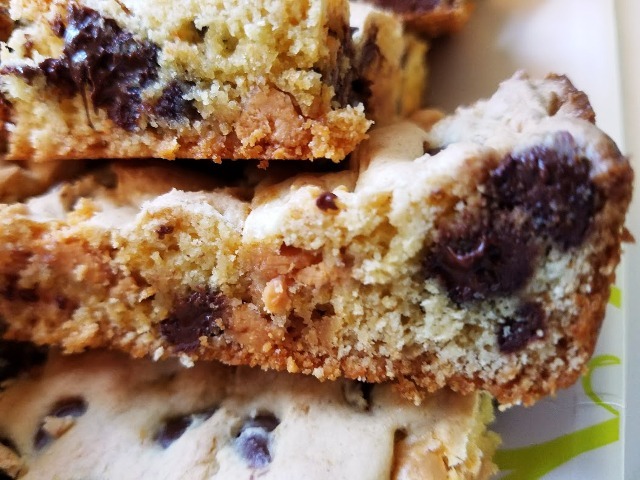 So easy and chocolate chips are ooey gooey! Win!! I stacked them up and presented them on a pretty fall plate and off we went to deliver them to our college girl. Perfect to share with her friends! 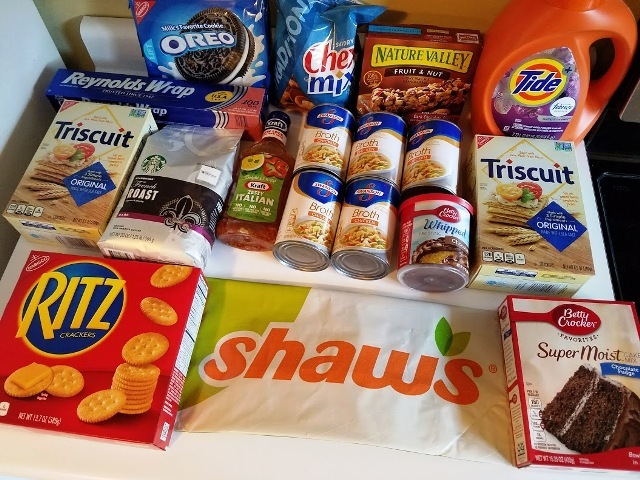 Shopping at Shaw’s Supermarkets during the Stock Up Sale means I can get all my favorite staples from General Mills, Coca-Cola, Kraft and Nabisco at a great value. 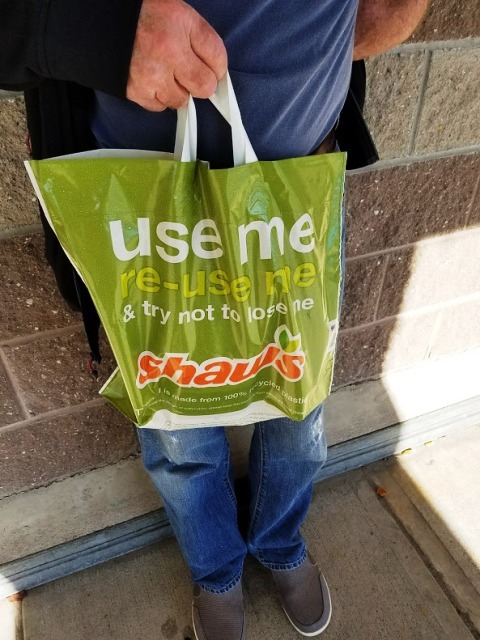 I love my recyclable bag from Shaw’s Supermarkets! It says, “Use me, re-use me, but don’t lose me.” Very clever! 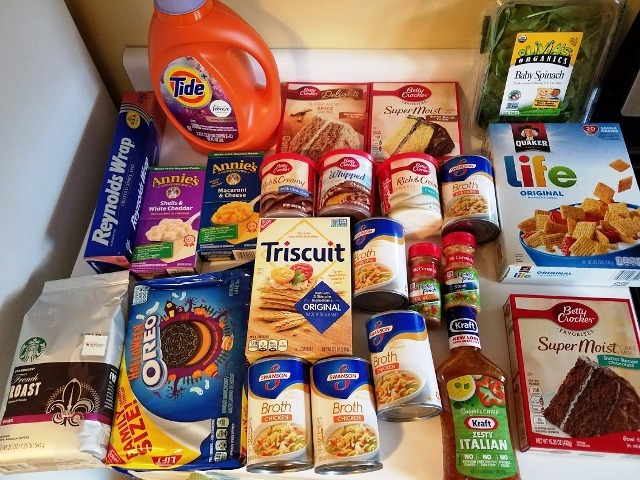 I find all of these great products at my local Shaw’s Supermarkets – be sure to check out these great products at your local Albertsons Companies grocery stores including Albertsons, Safeway, ACME Markets, Jewel-Osco, Vons, Pavilions, Randalls, Tom Thumb, Star Market, United Express, United and Carrs/Safeway. o Cinnamon Toast Crunch™ 12.20oz. o Oui™ by Yoplait® Strawberry French Style Yogurt 5oz. o Betty Crocker™ Whipped Frosting, Milk Chocolate 12oz. o Betty Crocker™ Brownie Mix, Chocolate 18.40oz. o Pillsbury™ Apple Toaster Strudel™, 6ct., 11.70oz. 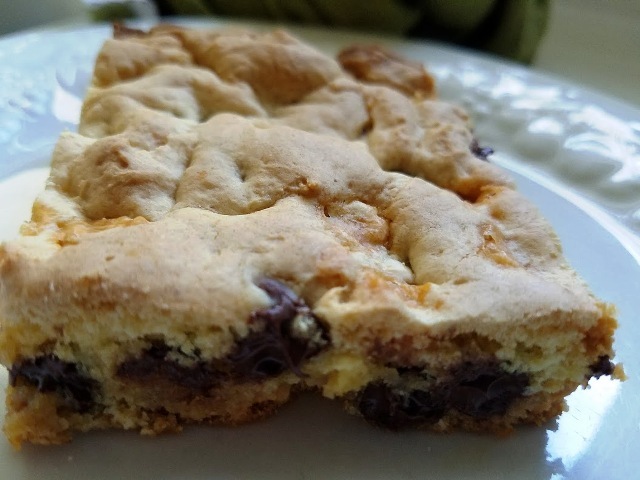 Only 5 ingredients needed for this Easy Chocolate Butterscotch bar. Make it in under 30 minutes! 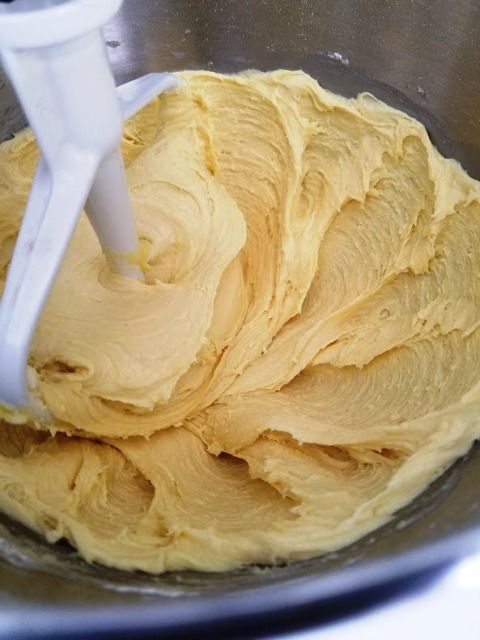 In the mixing bowl, combine dry cake mix with melted butter and beaten eggs. 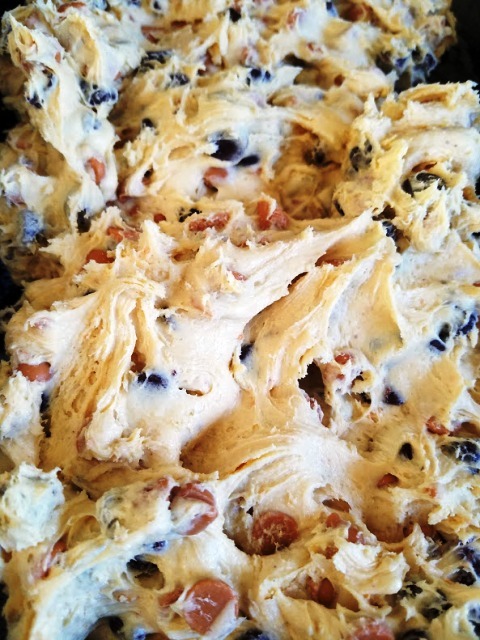 An electric or stand mixer makes this easier because batter will be very thick. Spread the batter into greased baking dish. Spray hands with nonstick cooking spray and then spread the batter around with your hands since the batter is very thick. 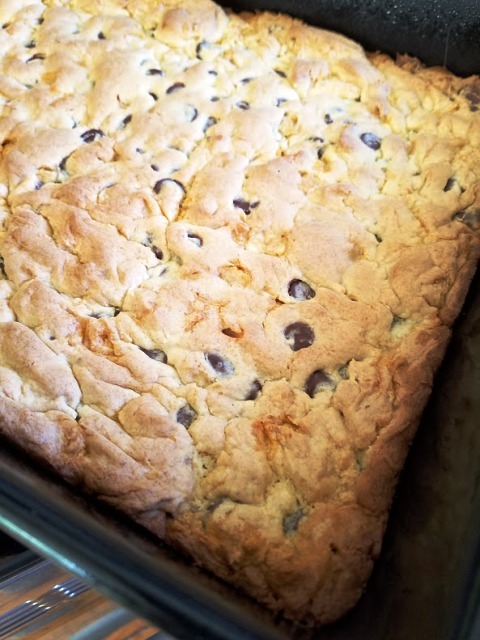 Cookie bars puff up as it is cooking. Edges will be golden brown when done.